Posted in Books, Fiction, Reviews, Writing and tagged as B.A. 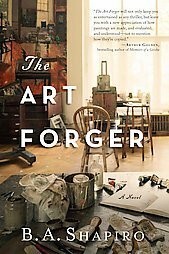 Shapiro, book reviews, books, Degas, Isabella Stewart Gardner, The Art Forger. Great review! You have some very interesting points, such as Clair lacking heart. Intriguing!